Veru anglas colored plums are in stock. Plum, which means feathers, is a bag that shines with the light craftsmanship of Hermes. Simple form that I can say most among Hermes. While there is a large pocket and a gusset pocket on both sides, the storage capacity and functionality are excellent. There is a partition that can be stored inside, and here it is removable! In addition, I am happy that the mouth opens wide and it is easy to take things out. 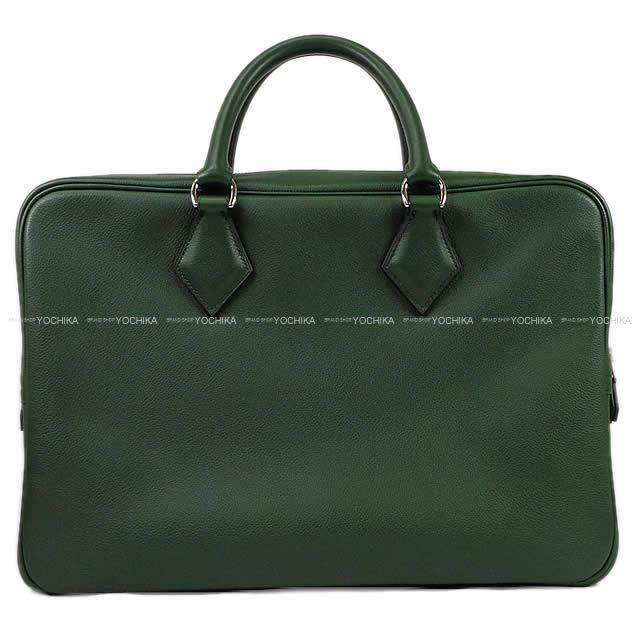 The ever color of the material is like the middle of embossed leather and smooth leather. It is softer than Togo or Torryon, tougher and less noticeable than a Swift, and it is a material that captures the advantages of both. It is a rare item which is not seen easily even in the Plum! How about this opportunity?